The extent and volume of Internet-based transactions have reached the stage where financial transactions are an accepted common occurrence. These transactions occur between institutions as well as between institutions and individuals. Identities in the form of information are exchanged, processed and verified. And always, the transacting parties trust that the identifying information pair with their real-world owners at the other end of the connection. Identity theft changes this scenario. With enough information about you, identity thieves can assume your identity and perform transactions under your name, which makes identity theft protection now a major concern of software developers, security experts, web security consultants, and financial institutions. It is yours, too, as experts would suggest in their five imperatives for better identity theft protection below. Institute an effective password system and avail of security software and services. Enable your system’s firewall and keep the latest antivirus software running. Confidential files are worthy of encryption, so do it. Hackers and repair shop technicians can read unencrypted files directly from your hard drives even if they are unable to run your computer. 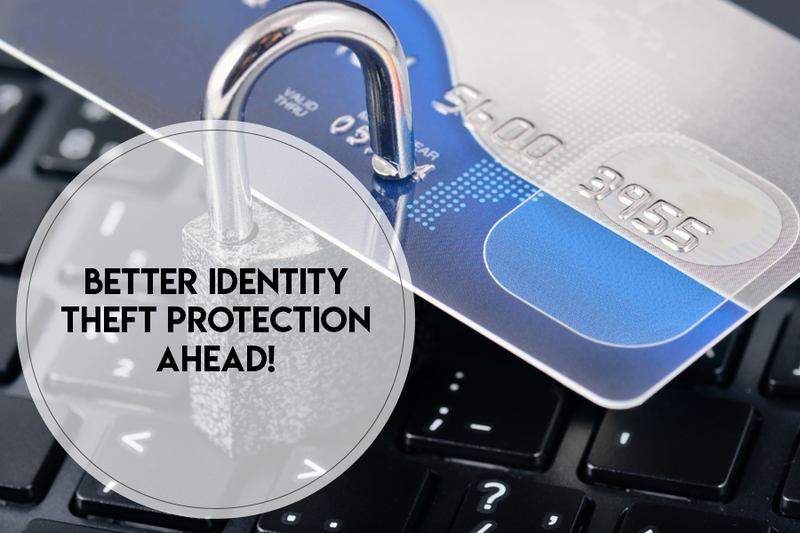 The practice of identity theft protection is not confined to the cyber world. Your desk, filing cabinet, home and office mailboxes, even your trash can constitute your physical environment which needs securing, too. These contain documents, correspondence and computer media which could reveal personal and confidential information about you to third parties. The Internet is an interesting virtual world rich in resources, services, and sites of interest and utility. It also contains an underground of rogue sites, viruses and malware, and just about any real-world counterpart. Also Read : What Should You Know About Internet Security? You would be well-advised to communicate only with trusted and verified sites, especially if you need to divulge information about yourself. If you wish to be adventurous, make sure your system is well protected (Rule#1) and be very careful and prudent about revealing personal information. Identity theft protection is a matter of personal responsibility and cannot be left to IT departments alone to be concerned about; particularly because it is a practice and discipline one exercises at work and at home. Everyone knows enough about the threat issue to accept personal responsibility for one’s own environment, though, of course, no one ever knows enough to stop learning about it. People close to you at home and around you at the office need to be aware of identity theft and its repercussions as they could unwarily or unwittingly be revealing information about you. Set up a simple system of logical measures towards identity theft protection in both environments. For instance, educate people at home that certain documents need to be shredded before discarding them into trash, or to empty the mailbox of incoming mail at regular, closer intervals. Remember to strengthen your argument with an explanation. It may seem to many that identity theft protection is more of common sense and discipline rather than technology. There is some truth to the notion, inasmuch that protection technology is mostly built into the system and for the most part takes care of itself. For instance, an operating system and antivirus software update themselves to their latest version automatically, while software running at the background catch viruses and spam on the fly. Yes, ultimately, identity theft protection is up to the people using technology.